MANILA, Philippines - Team Lea's artists have kicked off "The Voice Philippines" The Battles Round on Saturday, December 6, 2014. 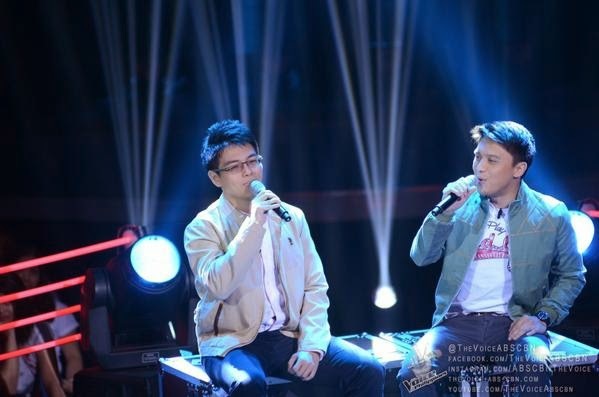 It was a battle of vocals between Philippe Go and Timmy Pavino as they performed Side A hit "Forevermore." Coach Sarah, Bamboo and Apl were impressed on the consistency of Philippe. However, Coach Lea has declared Timmy as the winner in the battles round. He will advance to the next round of the competition – the Knockout rounds. None of the coaches attempted to steal Philippe from Team Lea. In the second season of the show, the eliminated artists may get a second chance if another coach decides to steal them. If two or more coaches want to steal a losing artist, it’s up to the artist to choose the team he or she wants to join. A coach may only steal two artists throughout the battle rounds.